ow do you connect the digital community in legible format? Through Noto, the new typeface family that helps enable global communications across devices, borders, cultures, languages and epochs thanks to Monotype and Google. The renowned type foundry which is regarded as one of the world’s leading forces in empowering expression and engagement through type, technology and expertise revealed its role in one of the most expansive typography projects ever undertaken: the Google Noto Project. 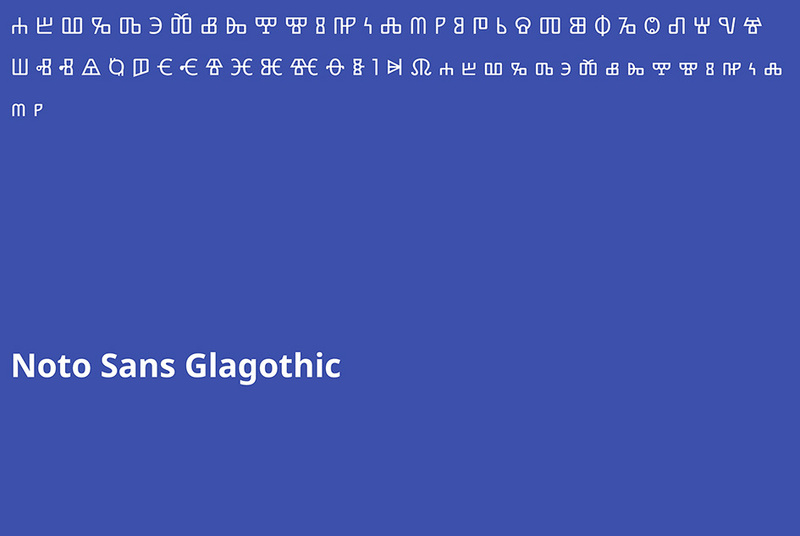 For more than five years, Monotype and Google have been working together with the aim of developing a typeface family that encompasses all written languages and scripts, with a harmonious look and feel shared by each. The Noto project serves the digital preservation of little-spoken or dead languages, to help enable global communications across borders, languages, cultures and time periods. 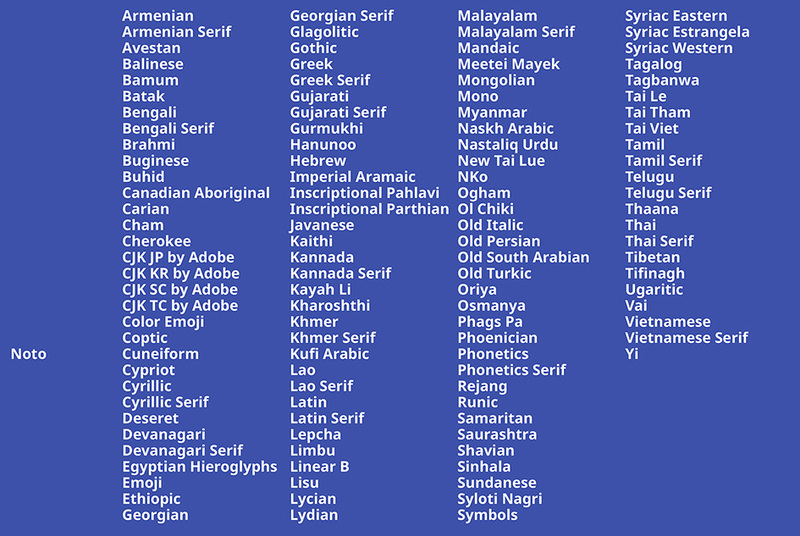 Google Noto now covers more than 800 languages and 100 written scripts, which includes letters in multiple serif and sans serif styles across up to eight weights, as well as numbers, emoji, symbols and musical notation. Previously, when a computer was unable to display text because the font that supported it was unavailable, blank boxes would appear in its place, causing confusion and a breakdown in communication. These boxes were nicknamed ‘tofu’ on account of their resemblance to blocks of bean curd. 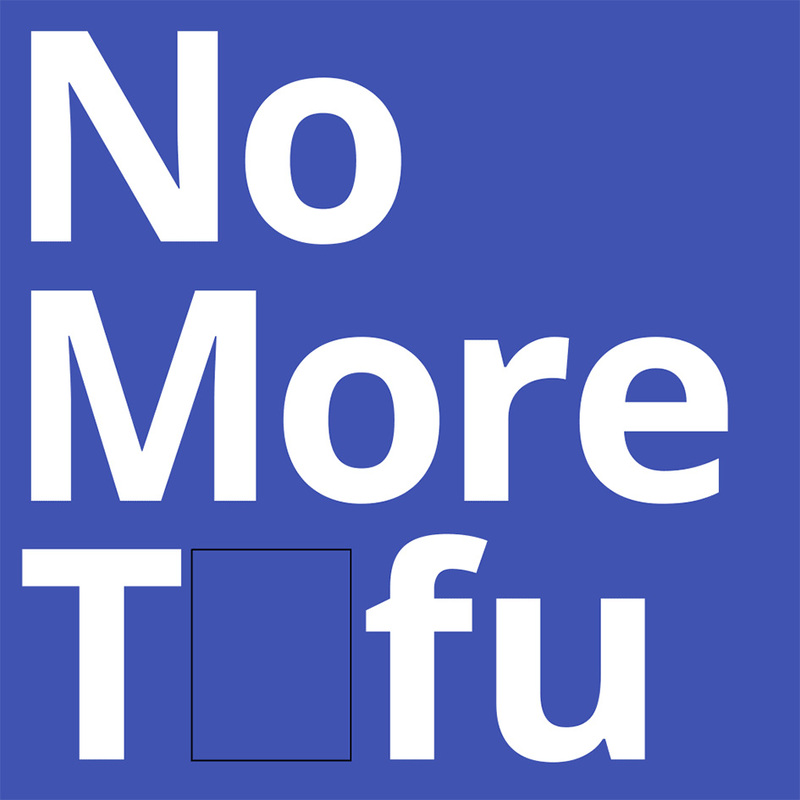 Google’s goal of seeing ‘no more tofu’ is what gave the Noto family its name. “Monotype is one of the leading type companies in the world and was a great match for all our requirements. 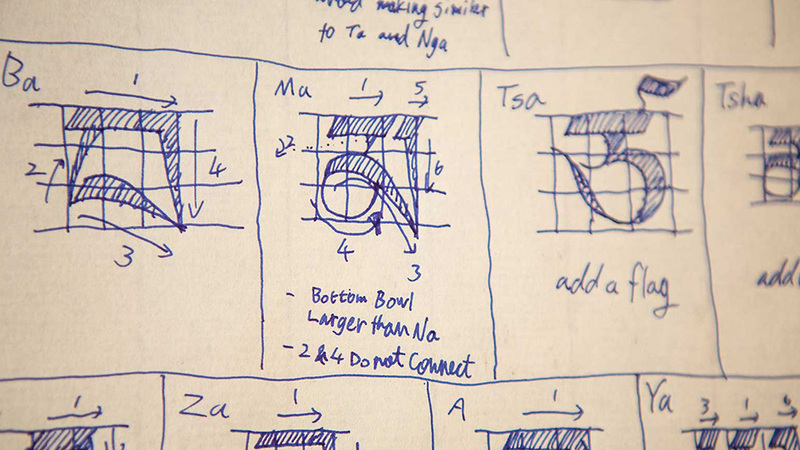 We like the passion for type and the technology that they bring to this project. Creating Google Noto was a really big project and we needed a reliable partner that could match Google’s scale to complete it. We looked for a partner that had the ability to create really wellengineered fonts, and Monotype has a long history in that, and was able to offer the diversity and breadth of experience we needed, especially in building fonts for other languages” says Bob Jung, Director of Internationalisation at Google. Monotype has played two significant roles in the Noto project to date: researching and digitally designing the characters, writing systems and alphabets for each Noto typeface and applying the rules and traditions for the individual languages to their respective fonts; and managing the project, including organising external designers and linguists around the world who specialise in specific scripts. Google defined the requirements and scope of the project, shared significant input into design direction for major languages, contributed design review and technical testing resources and expertise for a broad range of languages, and provided the funding that made this project possible. 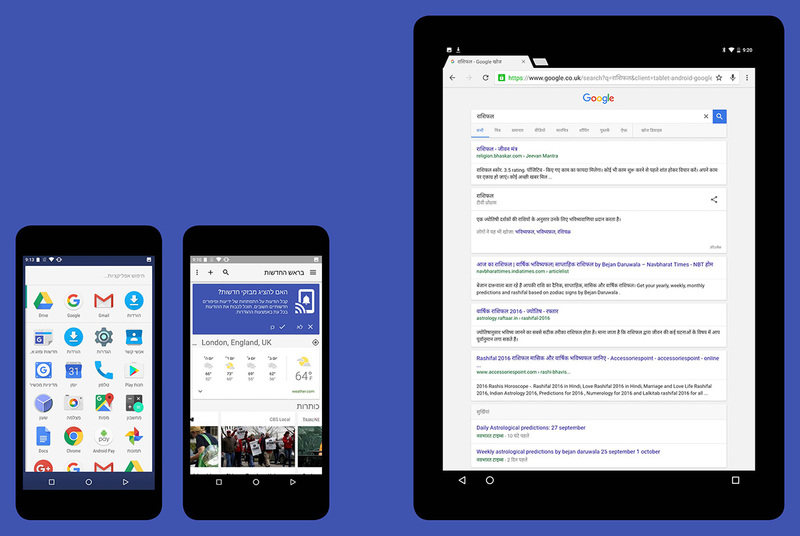 Both Google and Monotype share the goal of advancing the wider adoption and usage of type, no matter the language. The hope is that this project will offer typefaces that can open new channels of communication to cultures that have hitherto been unable to use their language digitally. For this to be effective, the Noto family has to be both legible and culturally acceptable. 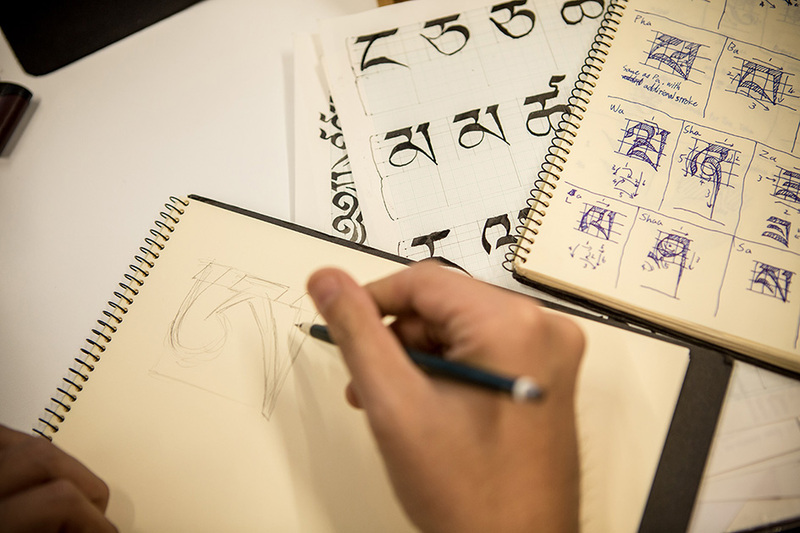 For example, Monotype designed the script for the Tibetan language following in-depth research into a vast library of writings and source material, and then enlisted the help of a Buddhist monastery to critique the font and make adjustments. The monks’ constant study of Tibetan manuscripts made them the ideal experts to evaluate Noto Tibetan, and they were instrumental in the final design of the font. Hundreds of researchers, designers, linguists, cultural experts and project managers around the world have been involved with Google Noto. 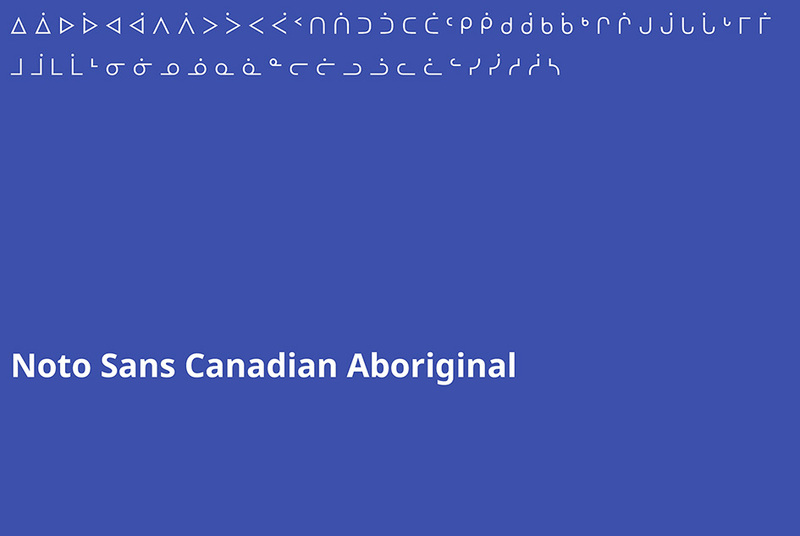 Work on the font is ongoing as new scripts are added to the Unicode Standard – a character coding system that defines the characters and languages that can be displayed and used within a computer system. Monotype has been involved with Google Noto since 2011 when Unicode 6.0 was released. 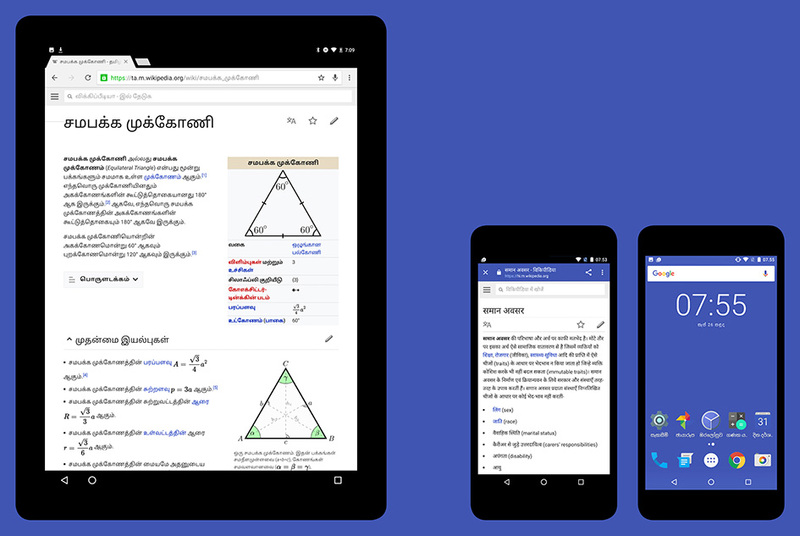 The Unicode Consortium announced version 9.0 of its standard in June 2016, and Monotype continues to work with Google to develop the various new scripts and additional weights for many of the languages included with each new standard. Google Noto is open source under OFL (Open Font License), meaning that designers and developers around the world are encouraged to contribute to the design of the scripts. The font is also free to use, reinforcing Google’s commitment to facilitating communication across borders and between cultures. Noto Sans CJK is a rebadged version of Source Han Sans, a typeface developed by Adobe and Google which contains Chinese characters, Hangul and Kana; Latin-script letters and numerals are taken from the Source Sans Pro font. Noto Emoji Project provides color and black-and-white emoji fonts. The color version is used by Google's Gmailweb interface, Google Hangouts and Chrome OS. The Google Noto font is available for free download now at Google.com.